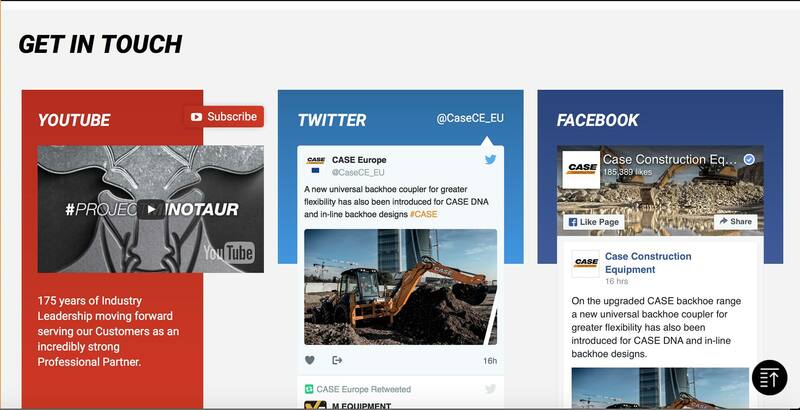 CASE Construction Equipment launched its new website designed to deliver seamless support and information to customers when they need it, wherever they are and on any device. The new site delivers a clean, modular layout with pages that are easy to navigate and product information that is readily available. A distinct, vertical navigation allows for easy browsing and opens up the main area of the screen to view more information at one time. Responsive design detects the device being used and automatically adjusts the page layout and resolution for screen size. The same experience is delivered on desktops, tablets and smartphones. The product configurator, now also available for tablet and mobile, lets customers explore all options available on equipment and request a quote. The seamless integration between equipment and attachments allows customers to easily identify the complete solution that matches their requirements.